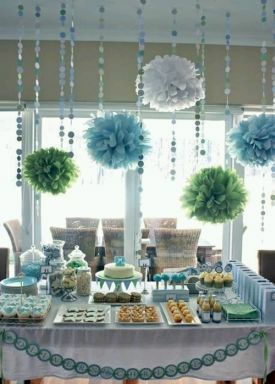 When you think of the celebration of the baptism of your little, surely you just want to share this important day with people you love and who matter most to your child, this is why you probably want to host a party or reception worthy of this important date. 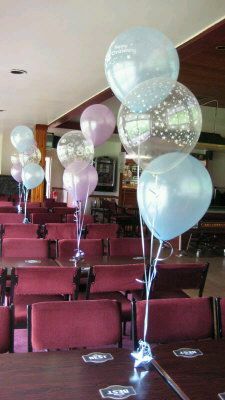 An important part of the celebration is the decoration above all you must be clear about the type of celebration you want, something formal or informal, with many guests or family only, in a shop or at home, there are many decisions you take. 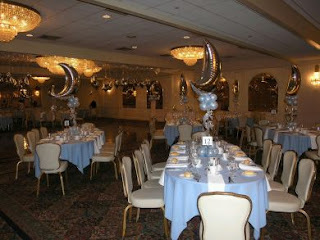 In this first image you decorate a room in which were placed long tables and chairs, the detail that stands out are the celestial tablecloths with matching chairs and white napkins, achieve the perfect contrast in the middle of each table arrangement with celestial globes at the base and at the top, crowns the centerpiece of a crescent moon metal globe. 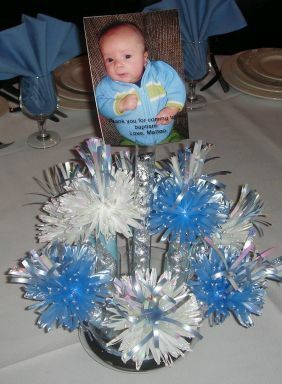 A cute centerpiece that besides decorating your table, can serve for you to put some candy and then deliver to your guests. 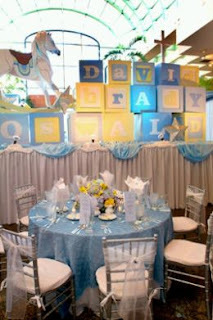 Beautiful decoration panel with a spice made from colored cubes standing in the name of the child, with this type of theme, the tables do not need much more. 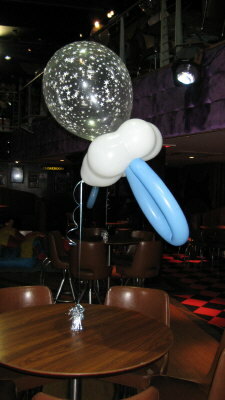 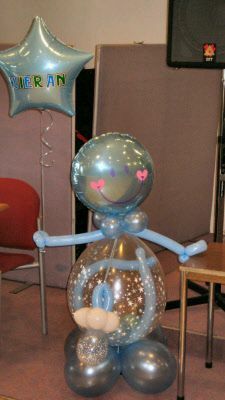 Another option for decorating the tables, there are three helium balloons delicately held at the bottom with an accessory adorned with a star-shaped balloon. Tender way to welcome your guests, ideal for celebrations at home or commercial sites. A detail that is lost when it comes to decorating children's baptisms, pacifiers are the perfect addition to your celebration. 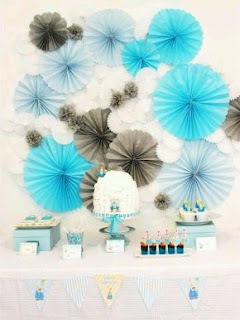 Original decoration circles, you can build a kind of panels on the walls where you want. 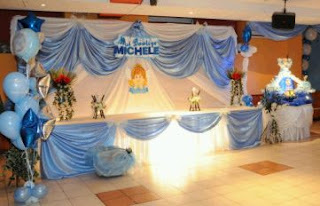 If you want something more traditional, the use of drapery fabric is right for you. If you prefer the elegance and distinction of this proposal will be sure that perfect option. 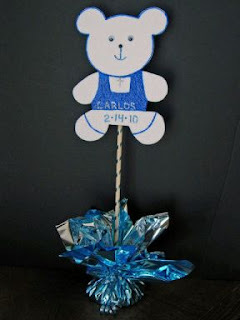 Finally, if you want your little king is present and do not forget the reason for holding any of your guests, you can use this cute centerpiece with a photo of the little in between.